Walmart, Tyson Foods and hundreds of other firms are making it easier for employees to cast a ballot in the U.S. congressional elections. 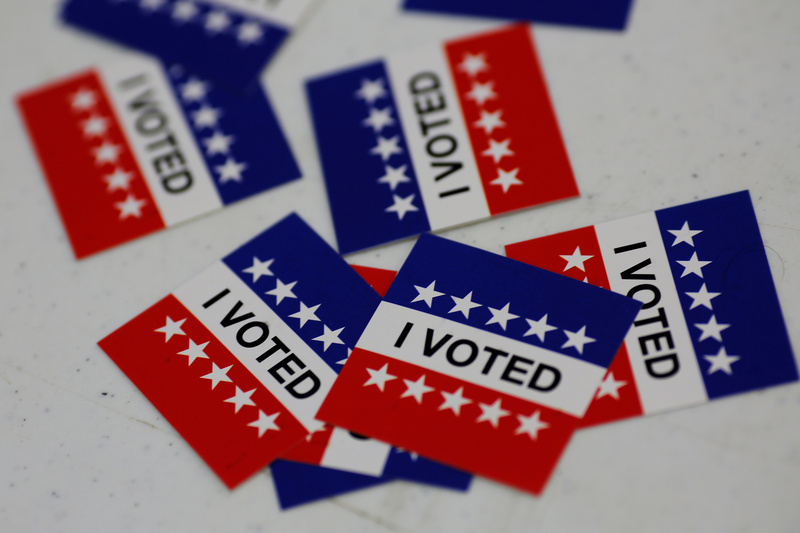 A mishmash of state laws and the lack of a national holiday makes voting a challenge. This initiative shows how companies can be good citizens. "I Voted" stickers are seen as voters head to the polls for election day in Princeton, New Jersey, November 7, 2017. The United States’ midterm elections will be held on Nov. 6. Every seat in the 435-member House of Representatives is up for a vote, while 35 seats in the 100-member Senate will be on ballots. Currently both chambers of Congress are controlled by the Republican party. A nonpartisan effort led by chief executives of more than 370 companies is aimed at increasing voter participation by giving workers paid time off, providing resources for mail-in and early voting, and other measures. Levi Strauss, PayPal, Walmart and Tyson Foods are some of the corporations involved in the Make Time to Vote initiative.